Deb's new collection of "Half Baked Hens" is just that! 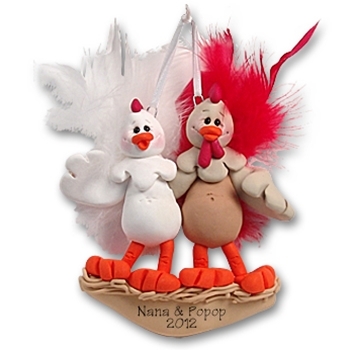 This silly family of hens have a comical expression along with real marabou feathers for that added detail .Handmade from polymer clay and designed by Debi Allison. Comes complete with hook and satin ribbon for hanging.